Affiliations: allied with Umbopo; Hans, Umslopogas, Sir Henry Curtis, Captain John Good R.N. (also known respectively as Incubu ('elephant') and Bougwan ('glass-eye')). Powers/Abilities: One of the greatest hunters of all time, a true marksman and skilled in jungle survival. 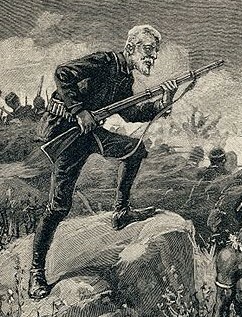 History: Allan Quatermain was one of the greatest hunters Africa ever saw. The son of a preacher, he grew up in southern Africa and as an adult went on to discover several of the continent's hidden secrets, such as King Solomon's Mines. Comments: Created by H. Rider Haggard. Revived in 1999 as one of the League of Extraordinary Gentlemen, which is a large part of why he qualifies for this list of superheroes. 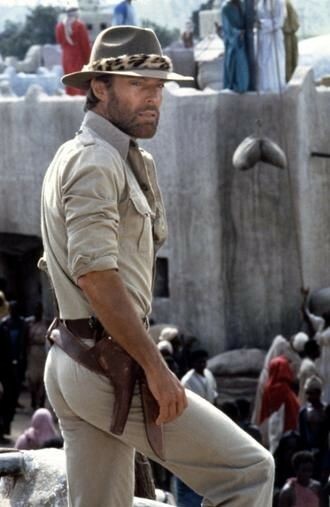 He's also turned up in a number of films, played by the likes of Richard Chamberlain (in a pair of entertaining, but far from canonically accurate, movies), Stewart Granger and Patrick Swazye. In the League of Extraordinary Gentlemen movie he was played by Sir Sean Connery. 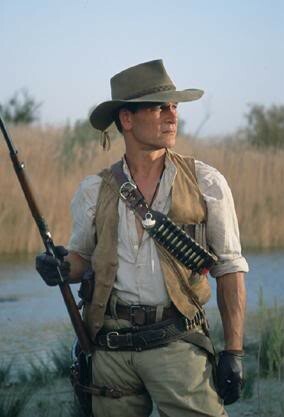 Quatermain appeared in a number of stories, including King Solomon's Mines (1885), and Allan Quatermain (1887). The first Quatermain story, chronologically speaking, is Marie. Thanks to Mark Fitzgerald for supplying information about Quatermain's allies, relatives and aliases. His off and on again companion from youth was the Hottentot servant, Hans, who had absorbed a version of Christianity from Allan's preacher father, and who had sworn to "the Predikant" always to look after Allan. Hans saved his life on a number of occasions, as often by sage advice as physical bravery, and finally died slaying the monster elephant god in 'The Ivory Child' (1916, events est. 1874). Allan was one of the rare people on whom the smoke of tuduki (an herb used by the White Kendah, 'Ivory Child') had its clairvoyant effect, and not infrequently before then had strong presentiments. The books have a streak of magic, spirits, and the uncanny, ranging from light touches to central plot elements. Allan certainly had a number of enemies down the years, but they had a habit of not surviving long. He rarely if ever went into jungle: that's mostly found in an equatorial band in which he did not work. 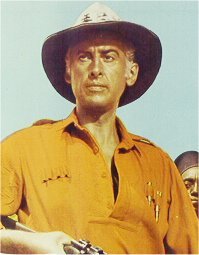 As a professional ivory hunter, he roamed the grasslands and bush and occasionally had to manage drylands short of true desert. He was smart enough to consider a desert, without experts and a knowledge of the terrain, an impassable barrier. His "base of operations" should be narrowed from "Africa" to "southern and eastern Africa." North Africa, the Sahara, and western Africa he never saw. He made his home in Durban. Various comic adaptations of the Quatermain novels, most commonly King Solomon's Mines, have been published. 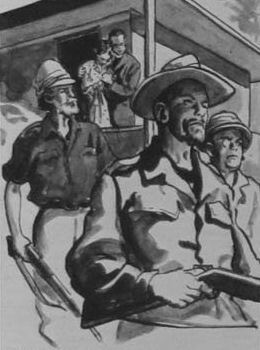 The comic Ranger adapted both that novel and the titular Allan Quatermain. CLARIFICATIONS: The basis for Allan Quatermain of the League of Extraordinary Gentlemen.